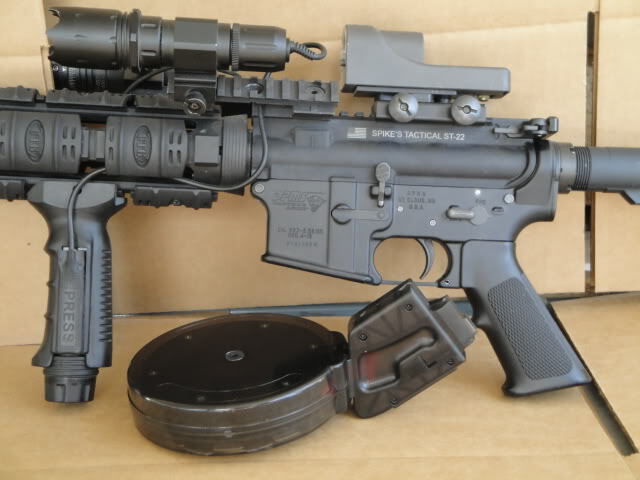 AR15.22 Drum fits Atchisson/Ciener style drop in conversion kits and dedicated uppers. Also fits Kel-Tec, Sig 552, Tactical Solutions uppers, Model 1 Sales, and Spikes kits and uppers. I can’t wait to give one of those a try on my .22 LR AR-15 conversion! I have one of the 26 round single stack magazines from Black Dog, and it works great. 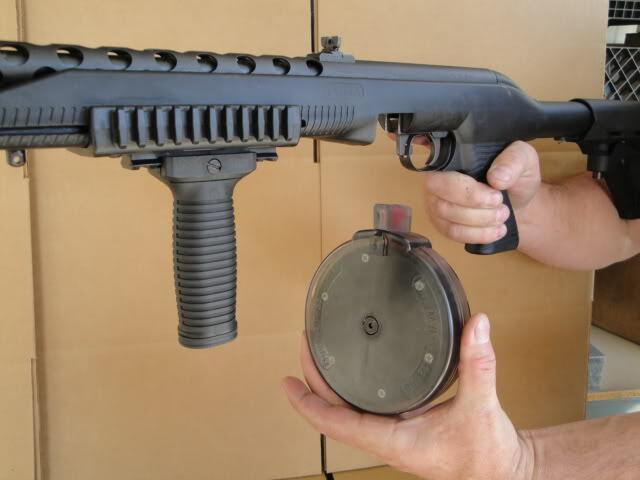 Hopefully the reliability is just as good on this drum mag. This is actually the first time I’ve seen or heard of the Puma PPS.. it looks really cool! I wonder how its reliability compares to a Ruger 10/22? I’m looking to buy magazines for my M&P 15/22 LR. Do you have the drums?